Office moving can be stressful, especially if you have dozens of employees, lots of heavy equipment, and the new location is miles away. When it comes to business relocation, often business owners and their employees will try to do the bulk of the work themselves, leaving only the large, specialty items for their local moving company to take care of. However, there is much more to commercial moving than meets the eye, and it’s best not to gamble with your expensive equipment by trying to pack and move it yourself. 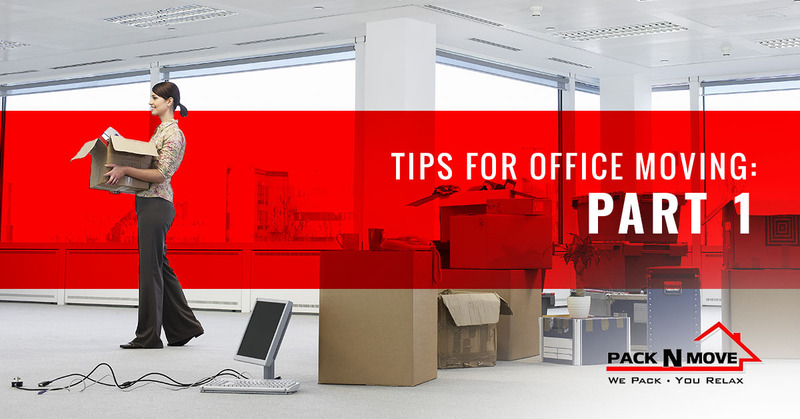 That being said, here are some office moving tips from our team of professional movers at Pack N Move in Visalia! When you’re busy running a business, it can be tempting to procrastinate on office packing until a week or so before moving day. While this is understandable, it is also important to plan ahead so you and your employees aren’t stressed out about packing to move while also tackling the daily workload without falling behind. To avoid the last-minute scramble of shoving things into random boxes, set aside some time each day in the weeks leading up to moving day so you and your employees can box up personal belongings, unused equipment, office supplies, etc. Then, when it comes time to pack up the things you use every day, you won’t have to pack and move amid stray pens and notepads, hand sanitizer, snacks, and other office clutter. While you’re packing for an office move, you’ll likely come across things you and your employees never use. This could be outdated technology, old office furniture, and office supplies that are no longer of use to you, so why waste the time and energy moving it to your new location? Do yourself a favor and use the weeks leading up to the business relocation and create a donate pile to bring to your local technology manufacturer or a charity in your area. Not only will this save you space in the moving truck and in your new office, but it is also an environmentally friendly way to dispose of things you no longer need while potentially earning your business tax write-offs. For more information about how and where to donate old technology and office equipment, check out this guide by the EPA. One of the most important things to remember when preparing for an office move is that organization is key. Trust us, you won’t remember where you put those cords, cables, and adapters if you toss them into random boxes with tissues and canisters of desk wipes. So, when you’re packing up the office, make sure to mark your boxes and organize them into categories, such as “office supplies,” “computer cables,” and “keyboards, mice, and mouse pads.” That way, unpacking at the new location will be far easier and more efficient. Now that you have a few tips in your back pocket when it comes time to start packing for your business relocation, it’s time to reach out for professional packing and moving help. Contact Pack N Move today for business relocation assistance in Visalia, and continue to part two of this blog series to read more tips from our office movers!